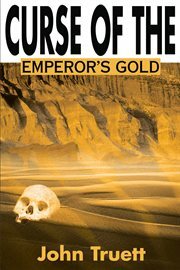 The item Curse of the emperor's gold, John Truett, (ebook) represents a specific, individual, material embodiment of a distinct intellectual or artistic creation found in Charlotte Mecklenburg Library. Mexico's Emperor Ferdinand Maximilian fights for his life against ruthless Benito Jurez, while cowboys in the Territory of New Mexico shoot it out with crazed outlaws. The stake for both sides is a fortune in gold and only beautiful Madrianne Von Webber knows where the treasure is buried!